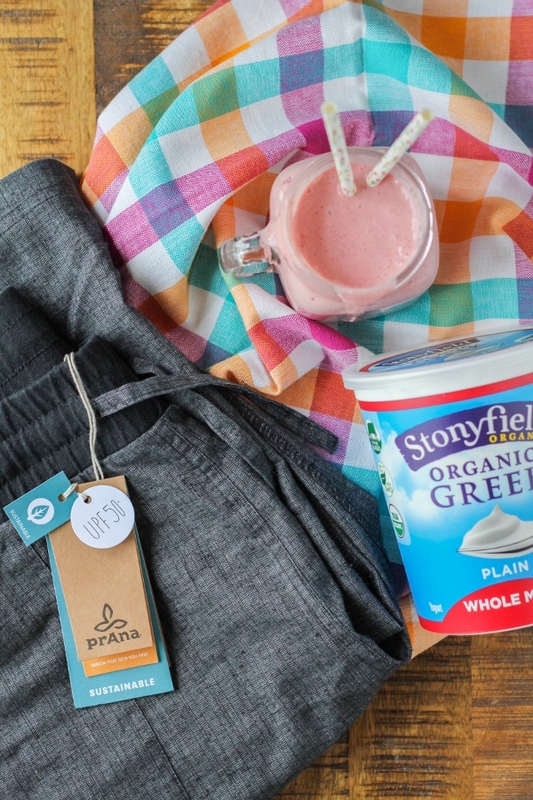 I am honored to be a Stonyfield Ambassador and I thank them, and prAna for sponsoring today’s post. 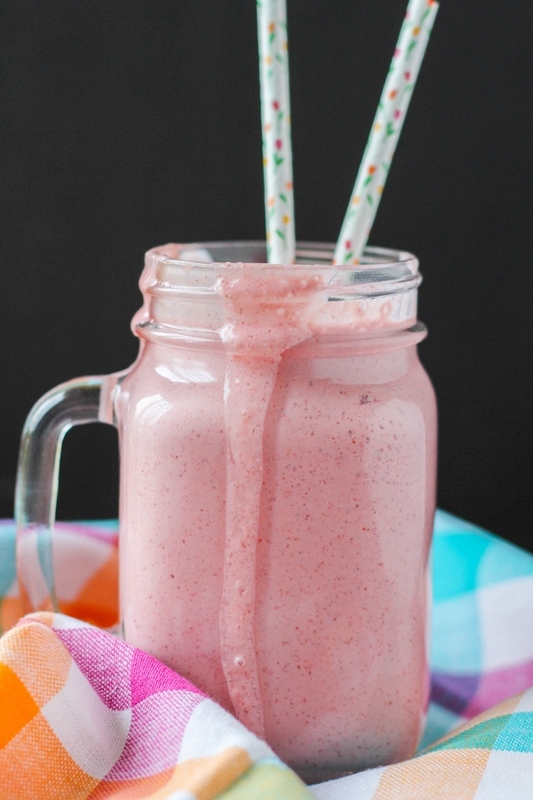 This smooth and creamy smoothie is made with frozen sweet cherries and thick and tangy Greek yogurt. Full of antioxidants, protein, and fiber, it's a great way to start your day! In this crazy busy world we live in, most people don't make time for themselves as often as they should. Myself included. I've been a single mom to my sons for the past 15 years and have raised them on my own. Don't get me wrong, I wouldn't trade it for the world! But sometimes it can be exhausting. Working, take care of the kids, doing chores, etc. can be a lot to handle whether you're by yourself or have a partner to share in the everyday tasks. That's why it's so important to take time out for yourself every day. My friends at Stonyfield and prAna have encouraged us to take a moment to be present and celebrate #TheWholeYou. 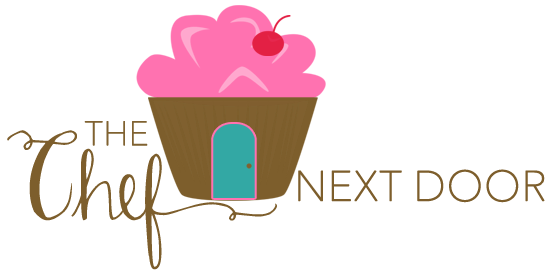 Time spent relaxing, being your authentic self, and putting your worries and to-do lists aside. This special time for me is time spent doing yoga. I've committed myself to doing stress relief and relaxation yoga every single morning. 25 minutes is all it takes and when I'm done I feel refreshed, relaxed, and my mind is at ease. It really is an amazing feeling. I've fallen in love with the prAna Mantra Pant and wear them every morning while doing yoga, as well as when I go out for walks. They are so lightweight and comfortable that I want to wear them all the time! 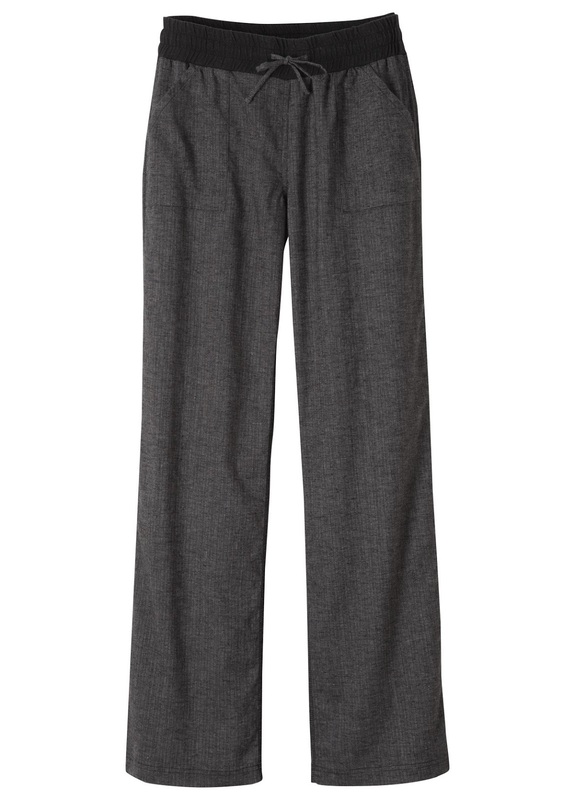 Made with soft hemp and stretch fabric, the pant is ultra soft and wrinkle resistant. Plus praAna clothing is made from materials that come from sustainable sources, which is just another reason to love them! 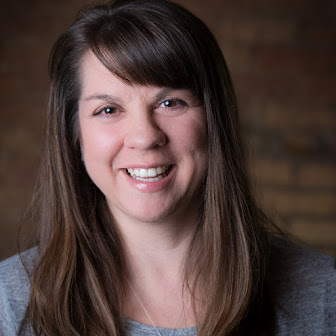 I know you'd love prAna clothing too, so my generous friends at prAna are offering a 15% discount to my readers! Just use the code WHOLES17CND at checkout. This offer is good until the end of May! After my daily yoga session I always give my body some fuel by making a smoothie. 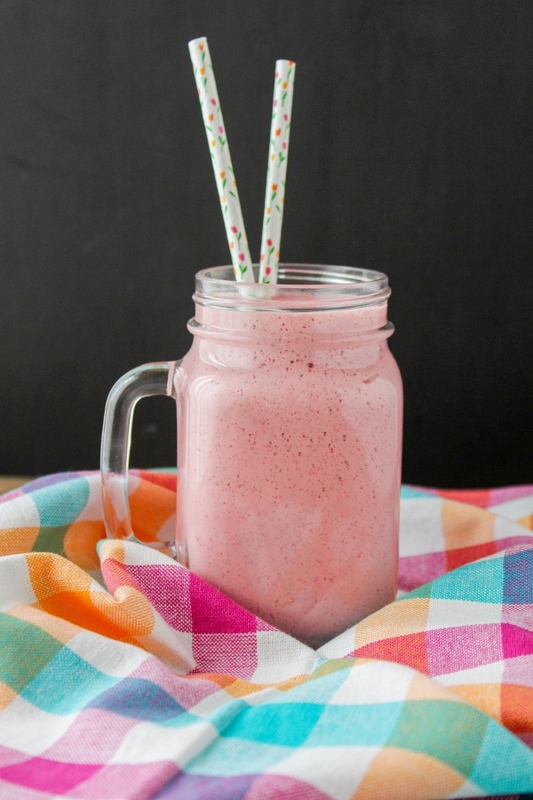 This Cherry Yogurt Power Smoothie is my new favorite and I think I've been enjoying it every day for the past week! 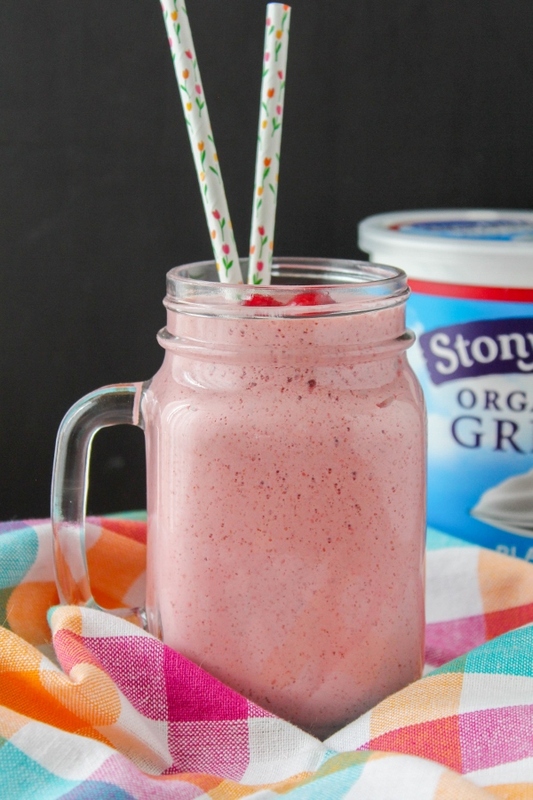 Made with frozen cherries, Stonyfield Organic Whole Milk Greek Plain Yogurt, and a flax, chia and coconut blend, it's refreshing, delicious and filled with protein and fiber. With my daily yoga session and fresh smoothie I feel more relaxed, more present, and ready to rock each day! What will you do to celebrate #TheWholeYou? Add all of the ingredients to a blender and blend on high until smooth. Serve in a tall glass with a straw and a cherry or two on top, if desired.